You know that moment when you know there’s just going to be absolutely nothing healthy about your meal? I’d like to tell you that this was set out for a group for the Super Bowl or something like that. But nope. It was just my dinner. 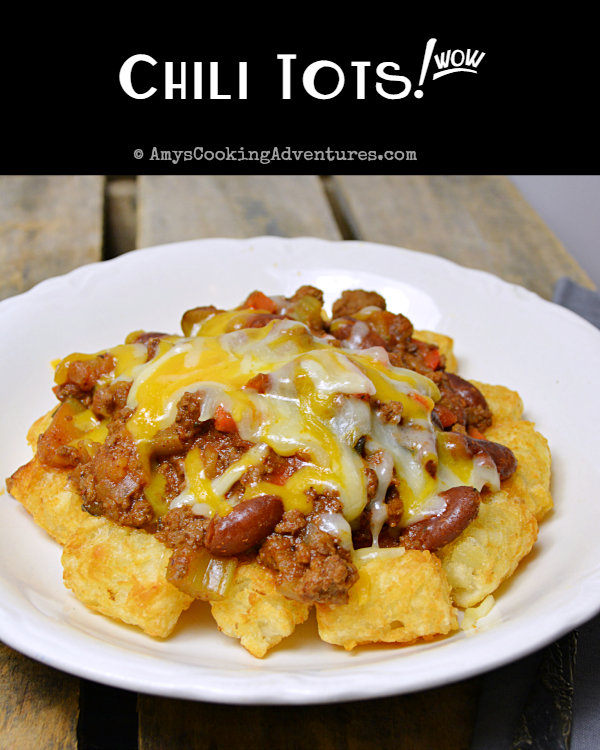 I first had chili tots at my in-laws and my mind was blown! 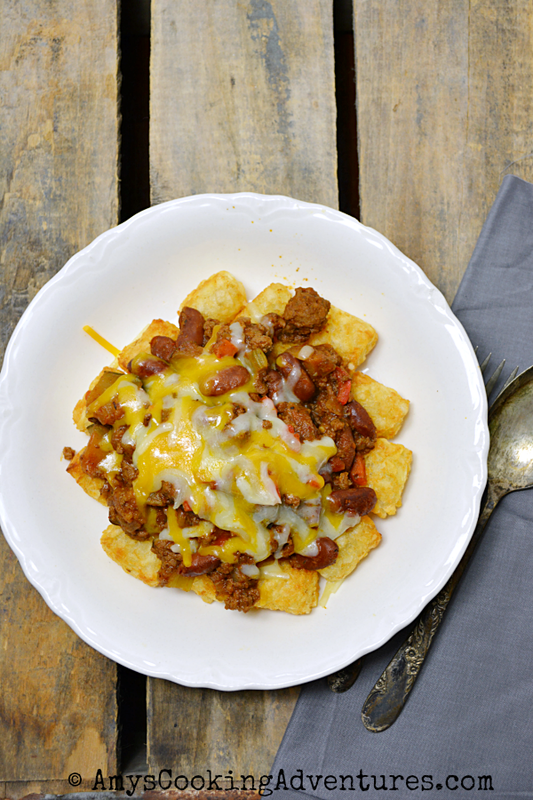 It was like chili fries, but even better, because tots are small and fries are long and unwieldy. I like my junk food easy to eat. You can even take this a step further, and toss some sliced hot dogs over the top and have chili dog tots, but I thought cheese was enough for one day! Put tots in a shallow bowl. Load ‘em up. Stuff your face. You started my day with a laugh....Love the stuff your face portion of the recipe.